The file must be a pdf and less than 10MB in size. The final submission will be included in the conference proceedings. The conference committee will review the full paper submission and the authors will be informed of the outcome by e-mail. 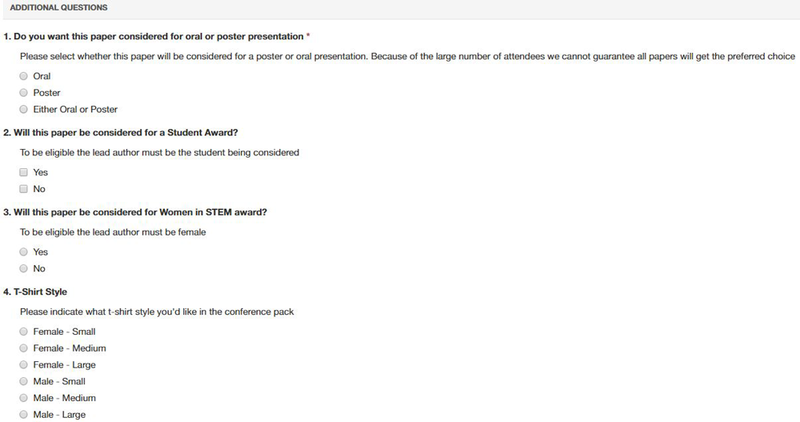 Please indicate whether the paper will be considered for oral or poster presentation, or either; any awards to be considered and a t-shirt style and size. After submission, you will see the following on the author dashboard.